I better write this blog entry today, the 4th of June 2010. 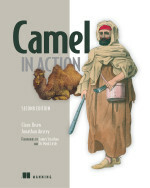 Its exactly 11 months since I started writing for real on the Camel in Action book (July 4th 2009). So today Jonathan and I have completed the 14 chapters for the book, which means we enter a new phase - the final review. What happens now is the material will be send out to a group of people who return feedback. In the mean time, we the authors, will start working on other aspects to complete the book, such as indexing, adding last minute minor changes and updates, overhaul all the summaries, polish the figures etc. The feedback comes back and we incorporate the changes needed. Then the next milestone is going into the production phase. This is the phase where we have professional copy editors and tech reviewers assigned to help go through each and every chapter 3 more times - line by line, word by word. And on top of that a professional graphical artist helps ensure the figures is sharp and crystal. In additional the appendixes, the front matter, and the forewords have to be written and added. And from a marketing standpoint the description of the book, author bios etc. must be updated and distributed to the various book sites. And much else I have forgot and at this time of writing is unaware of. So there is plenty of work to do. In fact the publisher told us, that from now on, the work load would be more intense because of more aggressive deadlines and being able to react quicker as more people is involved now. All together the book will come out of print in fall 2010, I was told October is a likely month. But one thing which cannot interfere is me having beers and following the world cup. Even though Denmark is most likely to fall short and not make so far. And yes a new MEAP will be published as well. I expect Manning to do this sometime next week, while I am visiting London for the FUSE community day. PS: If you think you have the time and interest in being part of the final review. Then let me know so I can get the publisher to contact you about this.